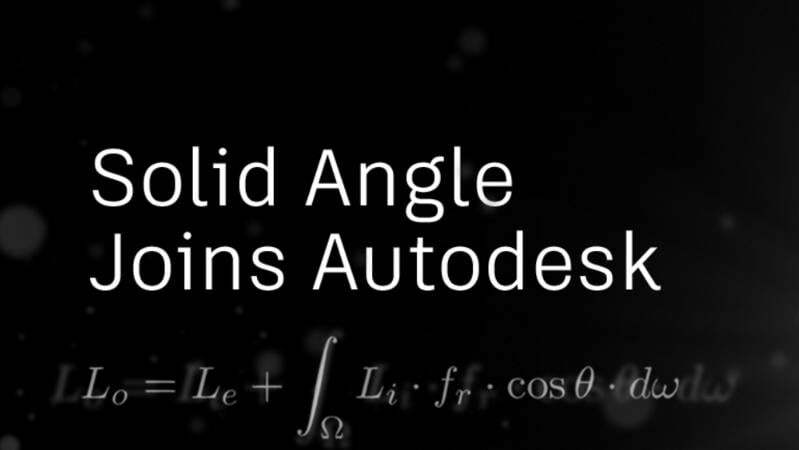 Autodesk have announced that they have acquired Solid Angle, the makers of the Arnold Renderer. No immediate software roadmaps have been made public yet, but Autodesk says Arnold plugin development will continue for products like Houdini, Cinema 4D, and Katana. You can read the full announcement on the Autodesk website. Solid Angle has also made an announcement on their website. Maya now have Arnold (bundled perhaps), MASH, damn … Hopefully Max will get a version as well. Speechless…but I think AD has not made any big acquisition this year yet. Well, if it goes the way of every other plug-in acquisition – that’s Arnold dead in the water. Maybe they just acquired it so they’d have something new to not implement in Max. It must be boring not implementing Bifrost. I was just about to give up mental ray and begin using RenderMan, and would now like to turn to Anrold? Doesn’t Arnold compete with Pixar’s Renderman? I thought Autodesk/ Pixar/ Maya were some sort of a team already. I think it is a plus to bring your own high-quality renderer in house but how many renderers does one need? From now Arnold evolution will be stopped like all other in Autodesk. And also Max and Maya absolutely different and incompatible. Should probably fix the article to note that it is a complete acquisition of Solid Angle not a merger. the light and developed for Houdini. Although Mantra is very well integrated into Houdini and it’s workflow. We do have V-Ray for Houdini in closed testing; if you are interested, drop me a line and we’ll sign you on. Vlad you know I don’t use Vray… but I thank god for your existance!! Yessss! now its V-ray & Renderman the Kings of renders!!! Well if AD includes Arnold in max, I’ll give it a try for sure. If millions of people like me give it a try and it works great why is it supposed to die? We could use it along vray for different purposes. AD never will include Arnold into 3d max. Even if it’s ever going to happen, like as always. AD did it in the worst way. And it take 5 years. You mean the now EOL Compositing software Combustion? Autodesk is continuously destroying the achievements of cg industrie. It`s really a good example of what`s wrong with capitalism.